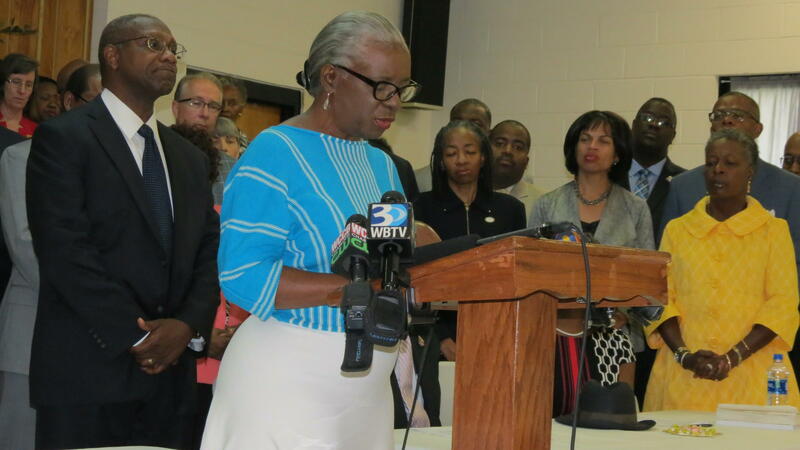 Former and current Charlotte-Mecklenburg school board members and some local clergy gathered Tuesday to voice their opposition to House Bill 514 - and threaten a lawsuit. The legislation would allow the towns of Matthews, Mint Hill, Cornelius and Huntersville to use property taxes to operate their own charter schools. 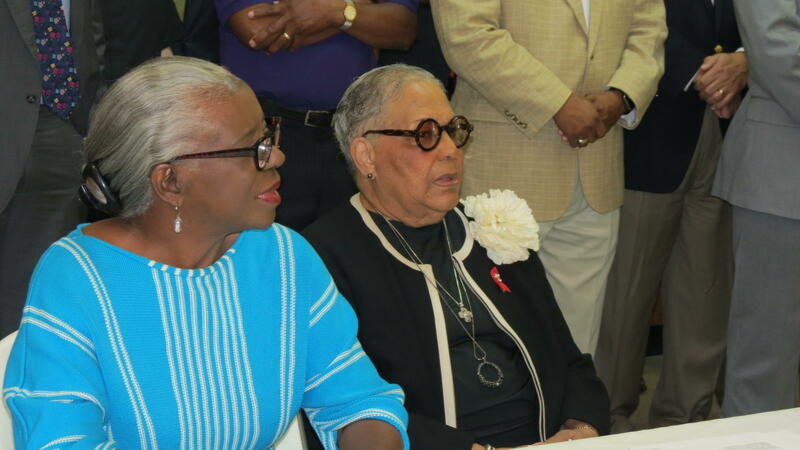 At a press conference held at Little Rock AME Zion Church Tuesday, opponents of HB 514 compared it to Southern education policies of the 1950s - implemented to keep schools segregated. Former school board Chair Arthur Griffin said HB 514 would contribute to re-segregation of schools because a town-run charter would allow admission preference for children who live in the four towns. Supporters of the legislation say the bill is designed to give students in the towns more options closer to home. Republican Jeff Tarte who represents Huntersville and Cornelius and supports the legislation said it will also relieve overcrowding in the towns’ schools. CMS board member Ericka Ellis-Stewart says HB 514 is about "race, economic division and class." CMS officials say no public hearings were held on HB 514, and they predict it will erase their efforts to diversify schools. Board member Ericka Ellis Stewart said the bill will further pit the city against the suburbs, the haves against the have nots, and blacks against whites. “When we were meeting with the town of Matthews we were told behind the scenes, we were told, ‘Don’t talk about race,’” Ellis-Stewart said. “We know at the very root of this it is about race about economic division and class and we have to call a spade a spade and be willing to take the fight to the street, legislature and even the court house if that is what is required to put our children first. HB 514 was introduced last year by Republican Bill Brawley who represents Matthews and Mint Hill. He has criticized CMS for not providing students with a quality education—one reason he says township parents want their own charter. But Roslyn Mickelson, a professor of sociology at UNC Charlotte says studies have not shown that charter schools are better academically. A report she co-authored this year on state and local charter schools did find that charters are becoming less diverse. 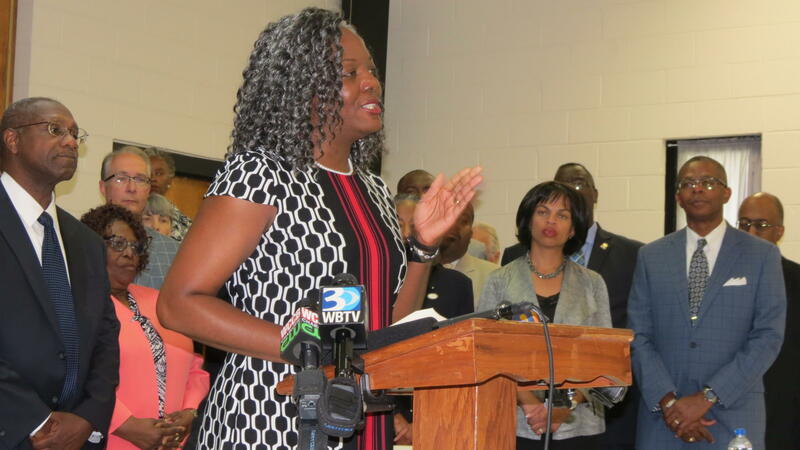 “Initially charters served low income children of color, today, numerically charters in North Carolina serve children who tend to be white, Asian and economically well off,” Mickelson said. Mickelson says this can only lead to more segregated schools. Local education leaders say they will go to court to keep HB 514 from being implemented. 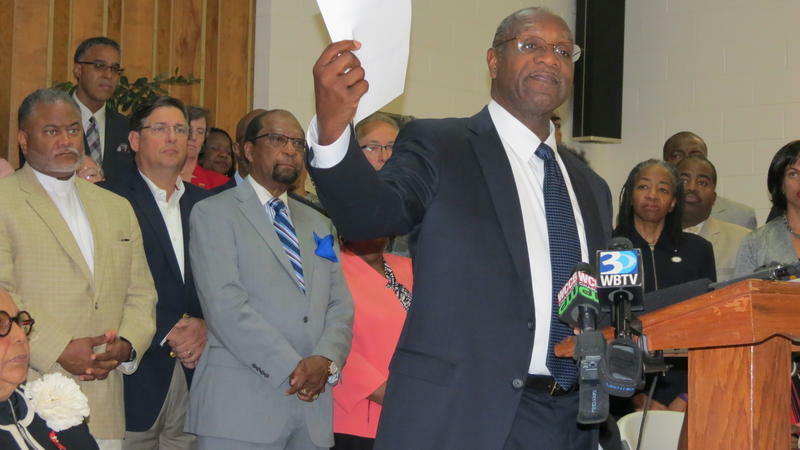 The state NAACP issued a press release stating they are prepared to take legal action against the legislation. Town officials at the center of this issue have not committed to building charter schools. Many see it as leverage over CMS. North Carolina Gov. 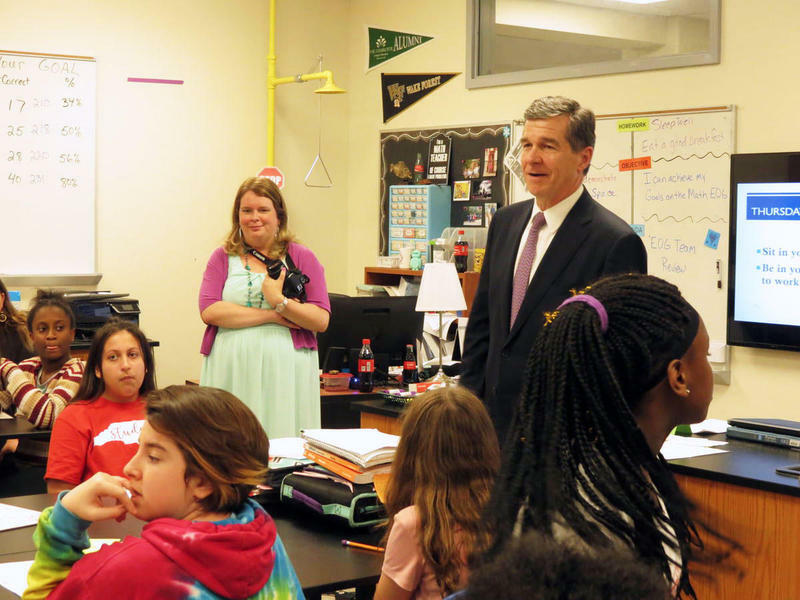 Roy Cooper said he has concerns about proposed legislation that would allow the towns of Mint Hill and Matthews to operate their own charter schools.